"@officialslystallone's Oscar nomination, for his supporting performance in @creedmovie — the 7th film in the "Rocky" franchise — has left him enormously grateful and glowingly proud. "It's the pinnacle of my life, professionally," @officialslystallone, 69, told @nytimes. "It's so miraculous." To prepare for his role, this time as an aged and ailing Rocky, the longtime action-movie hero hired a full-time acting coach. It had been 4 decades since @SylvesterStallone won his last Oscar nomination. His skill set, he said, "had basically atrophied." But the kudos he's getting now make him wish that he had pursued more roles like this earlier on. "I think the world could have lived without 'The Expendables' without spinning out of orbit," @officialslystallone said. "I really do." 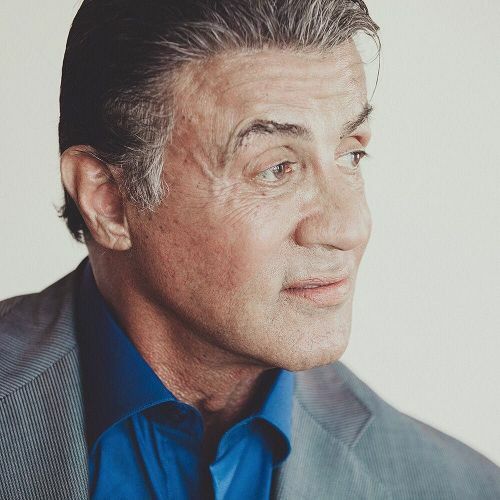 @eliz took this #portrait of @officialslystallone while on #nytassignment." By nytimes on Instagram.